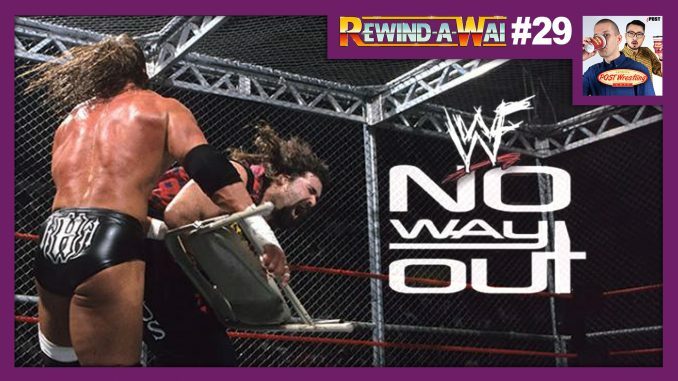 John Pollock and Wai Ting review WWF No Way Out 2000 featuring a title vs. career Hell In A Cell match between Triple H and Cactus Jack. We discuss the angles that led up to this event, why Mick Foley’s retirement lasted only weeks following this perfect sendoff, X-Pac stealing Kane’s girlfriend, The Rock vs. Big Show, Mark Henry vs. Viscera, as well as the burgeoning careers of Kurt Angle, Chris Jericho, The Hardy Boyz, Edge & Christian and The Dudley Boyz in 2000. This edition of the Rewind-A-Wai is presented by Espresso Executive Producer, Ryan Charkow.